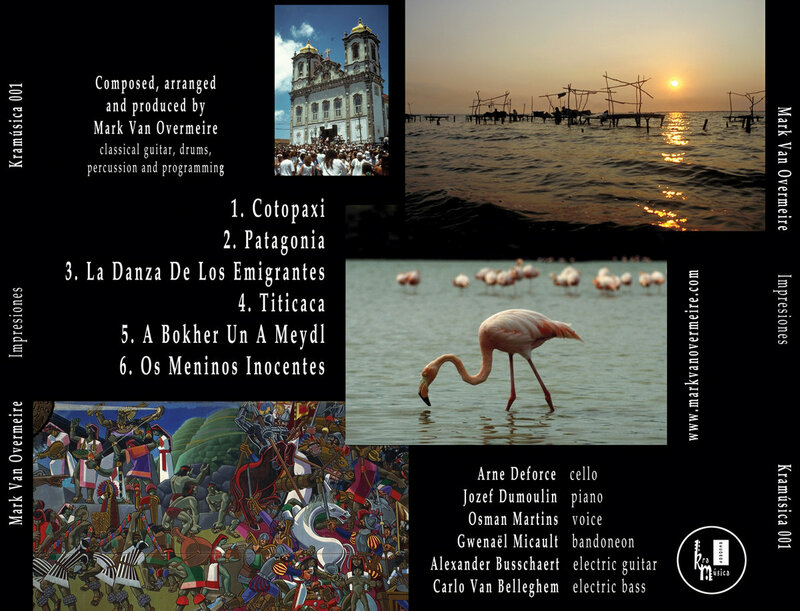 Beautiful and evocative sounds from South America in a creative fusion of world music, jazz, folk and classical music with cinematic moods. Instruments include classical guitar, piano, cello, voice, bandoneon, electric guitar and electric bass. Includes unlimited streaming of Impresiones via the free Bandcamp app, plus high-quality download in MP3, FLAC and more. 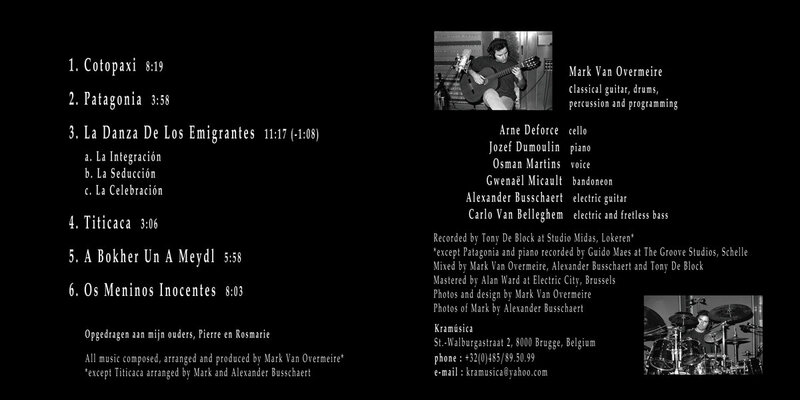 Song: "A Bokher Un A Meydl"
Song: "La Danza De Los Emigrantes"
Looking for something completely different? 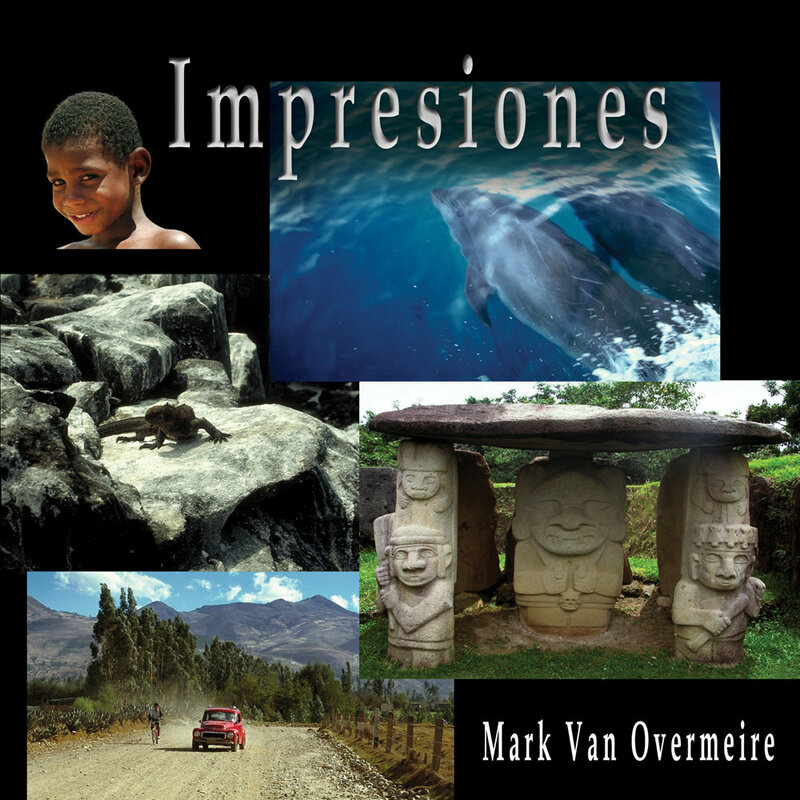 Try Mark Van Overmeire's Impresiones. 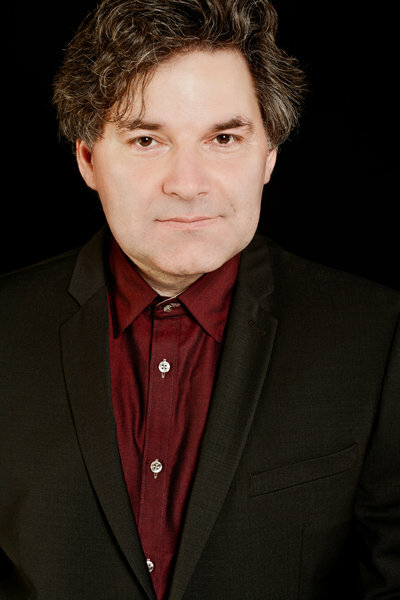 Van Overmeire is a Belgian musician who spent four years in South America. 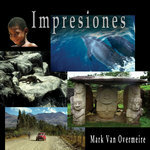 His personal journey is communicated through the musical travelogue that is Impresiones. Van Overmeire's musical influences are not easy to detect, but if Peter Gabriel had recorded The Pat Metheny Group at Real World Studios, Impresiones might be the result. If I could only use one word to describe the outcome, I might use the term intoxicating. Van Overmeire and his band effortlessly combine jazz, world, folk and even classical music. 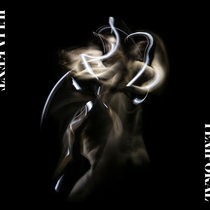 In lesser hands, such disparate musical shifts would be a major distraction, but Impresiones treats these stylistic differences as if they somehow belong together. Take the eleven minute multi movement "La Danza De Los Emigrantes" for example. A beautiful prelude of massed cellos gives way to an infectious and uplifting dance between Van Overmeire's classical guitar and Jozef Dumoulin's jazz tinged piano over a sympathetic rhythm section. During the second movement, the piece introduces some percussion programming which in turn heralds in an entirely new and romantic melody. This is beautiful stuff. 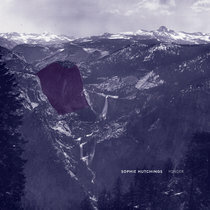 Album opener "Cotopaxi" likewise manages to be melodic, moody and pretty. A haunting cello and some wind effects made me think I was in for some New Age "relaxation" but thankfully, "Cotopaxi" is engaging and not New Age at all. Instead, the piece is sort of an orchestral jazz blend. "A Bokher un a Meydl" is a gorgeous and enchanting dance track that marries a tango beat to klezmer music. In another world, or at the very least Argentina (the country that inspired the piece), the song could be a hit single. 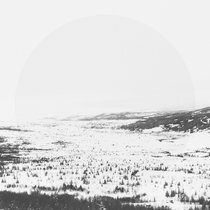 I am a sucker for indigenous folk music and "A Bokher un a Meydl" has me completely enchanted. Mark Van Overmeire has really captured the spirit of South America on Impresiones in some original and exciting ways. Here's hoping his current trip to Asia will yield similar results for his next CD. The Indiana Jones of world music, perhaps? Excellent. Oh, to be able to travel the world and then compose music about one's travels! This is the life of composer Mark Van Overmeire. When I read the program notes regarding his life in South America for several years and absorbing the atmosphere of this continent to enrich his musical knowledge, I decided to stop reading and listen to the six-track CD right away. My idea of reflections in water was right, but I wouldn't have matched it with the high-altitude Lake Titicaca. 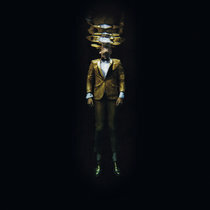 This is what Overmeire tries to accomplish in this album. He chooses a location in South America and then describes it through music. If you've traveled there, fine; if not, the general flavor may appear to you. 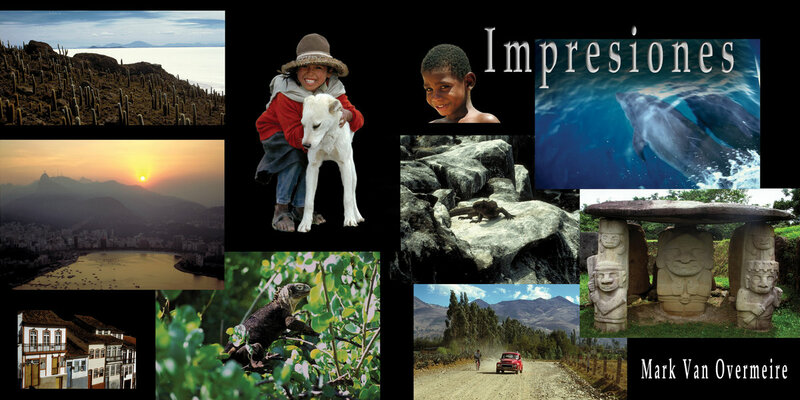 Except for the first piece, "Cotopaxi," which I found not as interesting as the rest of the selections, the other five pieces are innovative. 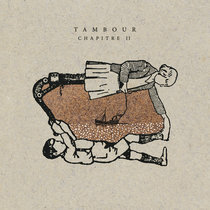 Mark Van Overmeire, with fellow musicians, Arne Deforce, Jozef Dumoulin, Osman Martins, Gwenaël Micault, Alexander Busschaert and Carlo Van Belleghem, bring a combination of jazz and klezmer influence to the music. "Patagonia" definitely has a South American mood with intricate keyboards and percussion. The mood is catchy, though I would have thought "Argentina," instead. "La Danza De Los Emigrantes" is an 11-minute composition in three sections ("La Integración," "La Seducción" and "La Celebración") that really makes one want to dance on a moonlight beach. There is a Peter Nero piano-influence at times. "A Bokher Un A Meydl" is klezmer music influenced (and a great cello part by Arne Deforce) that may remind the listener of a caravan that could just as easily be on another part of the world than the Middle East. Somewhat deceptive is the last selection, "Os Meninos Inocentes," which is about Bahia, a happy-go-lucky community, but instead, the music is almost child-like in flavor, or perhaps, the innocence of Bahia is to be discovered slowly? Next, Mark will travel through Cambodia and Laos for inspiration for a new album. Bon voyage. Mark Van Overmeire is a composer, classical guitarist and percussionist from Belgium, and his new CD was influenced by both Yo-Yo Ma and Pat Metheny. 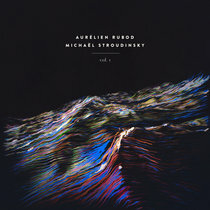 While this is closer to what one generally thinks of as world music than the Garbarek disc above, it still displays plenty of original thinking and sounds. A four-year stay in South America was the main stimulus for the album concept. He experienced breathtaking impressions of this area and has translated them into a colorful and diverse chapters in a musical journey. The choice of instruments gives a hint of the influences here - the bandoneon of his time in Argentina, for example. The cello has a strong voice in the proceedings, and Mark himself plays in addition to the guitar, the drums, percussion and synths. These are not just folk music-derived selections - the compositions switch wildly from jazz to folk to classical to klezmer to soundtrack. 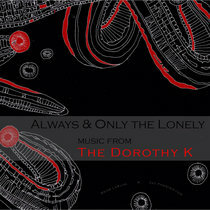 An adventurous musical travelogue free of all the expected cliches. As a meridian sunset sinks into the ocean of bliss , there one will always find the heart felt wonder of selfless love that Mark Van Overmeire exudes , like an invigorating breeze into the canopy of the moonlit night time sky.